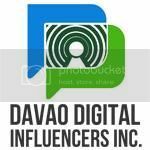 Have you been to City Triangle fronting Ateneo de Davao University and Marco Polo Hotel and tried the latest craze in town? 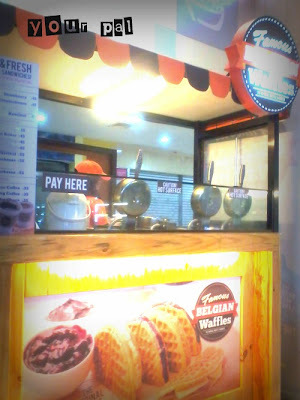 Last June 3, 2013 at the City Triangle in a large area center space a small food cart corner opens its store that offers perfect combination of ChekHup drinks and crispylicious fresh baked FAMOUS BELGIAN WAFFLES, the first branch in Mindanao. 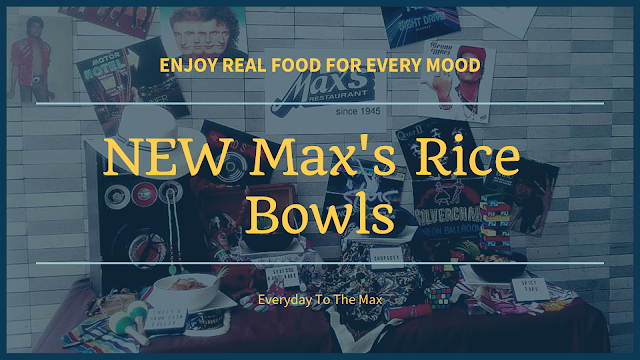 I was not able to come on their first opening day, but I've noticed its instant hit as they started. If you still remember my blog about CREPELATO in City Triangle, you can see Belgian Waffles beside GELATEA. 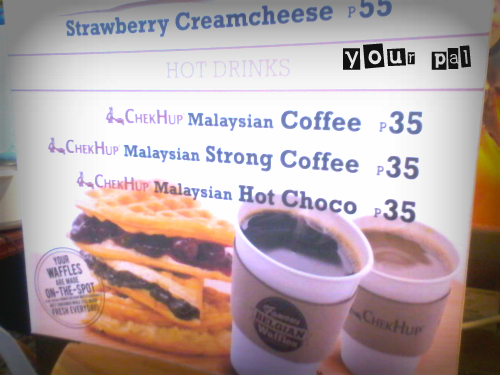 I notice how customers waiting for their queue to try and enjoy the waffles and drink their imported coffee from Malaysia. PERFECT! The day we visited their cart store their place is not that pack of customers. So we easily place our orders. 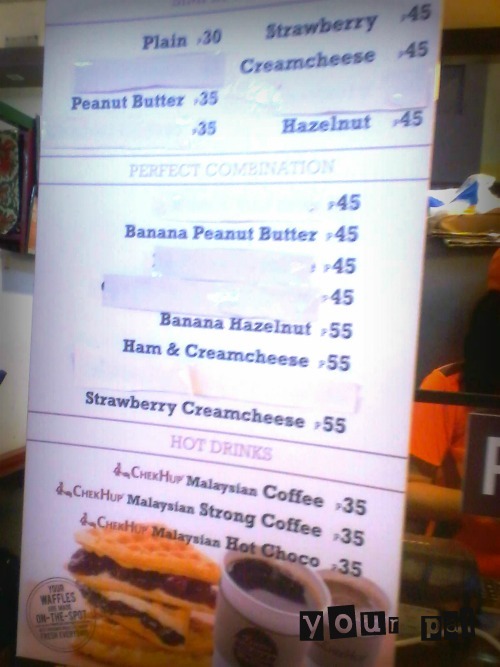 Available that time from their PERFECT COMBINATION MENU is BANANA PEANUT BUTTER and BANANA HAZELNUT. I choose Banana Hazelnut. Honestly, for me the waffles are mediocre. 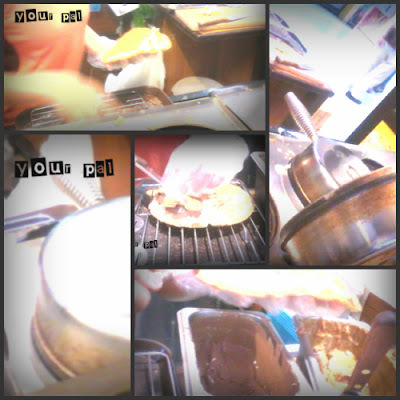 It is just a typical waffles that cook like a pancake and taste different because of its hazelnut and banana spread. The hazelnut butter isn't bad it taste like peanut butter..hehehehe...and I love peanut butter. 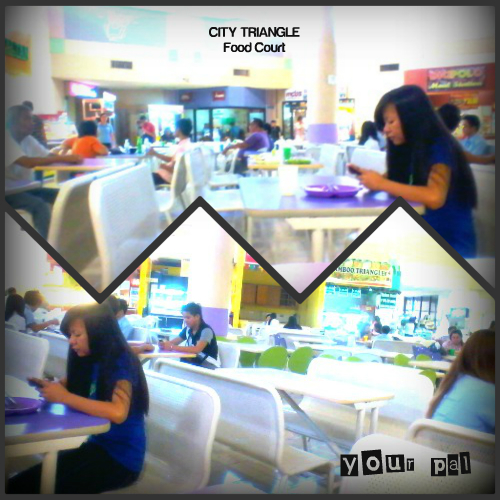 I can't compare because for me it has the same taste. 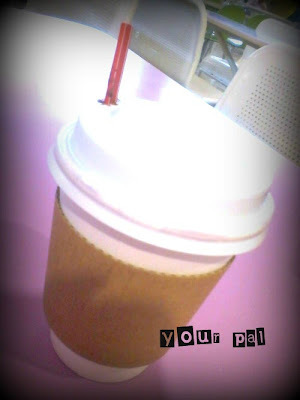 And for our drinks I choose ChekHup Malaysian Hot Choco. 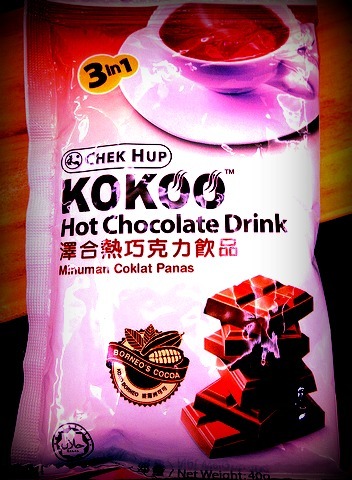 An instant chocolate drink from Borneo. 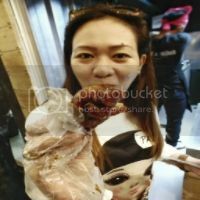 Only one staff present that time and she's very accommodating, I ask her if I can take some pictures on how she prepare the waffles and she nodded (but not to include her face-as she agree). 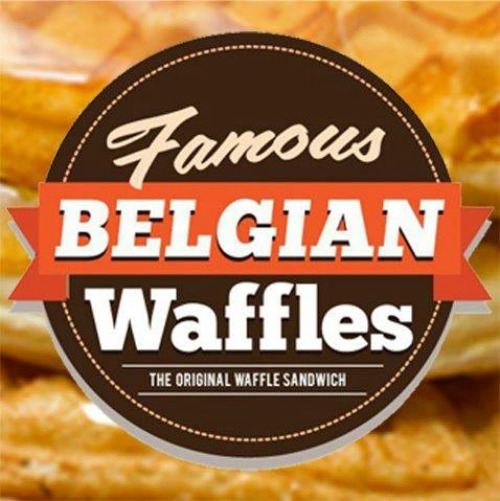 So if your hungry and your taste buds desires another sumptuous snack why not try and grab your FAMOUS BELGIAN WAFFLES! 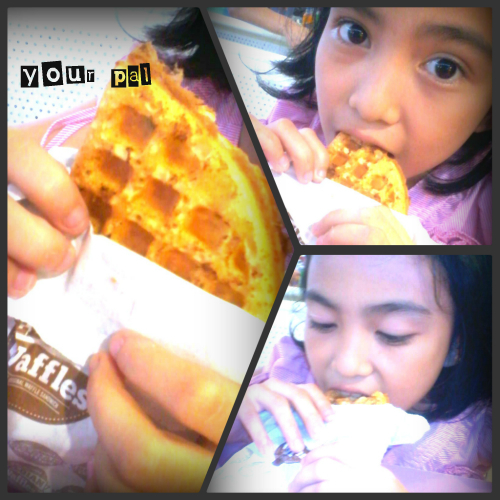 waffles plus coffee make my afternoon into boost. 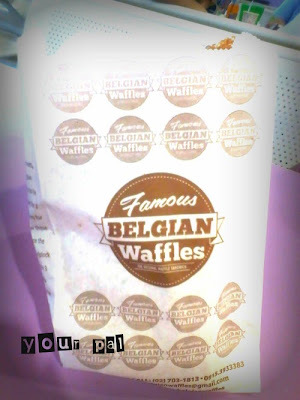 I always order for hazelnut belgian waffles! The Best for me, Pasok sa budget ng student! Honestly, I am not amazed by The Belgian Waffles kasi wala naman masyadong special sa kanya except for the flavors wherein yung iba hindi pa nga masyadong perfect. 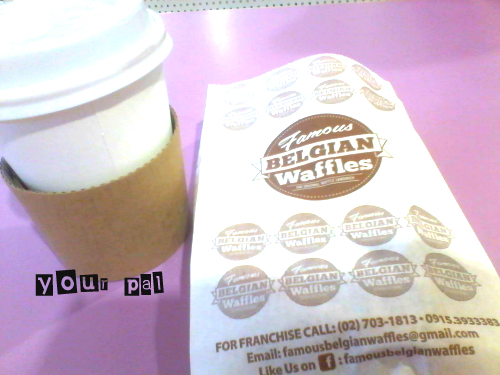 On the contrary, if you are really into craving for belgian waffle and on a tight budget I would suggest The Belgian Waffle na din.